The 8-9-8 is a great morning cigar with an espresso and the paper. Creamy and rich, just the right cigar to begin the day. The Ashton Classic Churchill has a grand aroma and flavor. Finish your day with this masterpeice and leave all of your worries inside the ashtray. As Coronas go, this Ashton has always been a favorite. The blend and aroma produce that great cigar experience that Ashton stands for. The Ashton Classic Double Magnum is just like the name implies, double. This large Toro size cigar is packed with creamy and nutty flavors in addition to its stunning aroma. 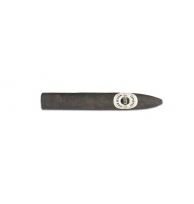 The most popular Ashton is the Magnum, their name for the robusto format. 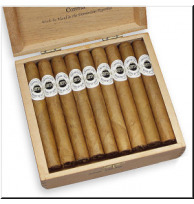 Rich and creamy, this cigar is a winner. The Ashton Classic Prime Minister is elegant and subtle in its aroma and nutty flavor. The perfect lonsdale format for that evening walk.